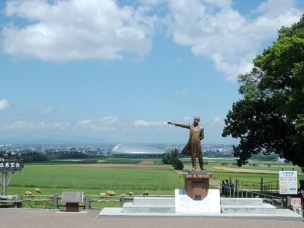 They use plenty of local fish and seafood from around Hakodate at Ikasei. Their sashimi, which is a popular menu item of the store, is delicious. 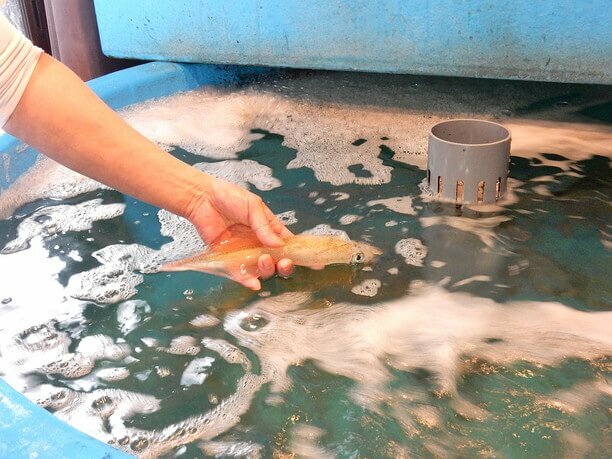 Fresh fish is kept in four tanks! 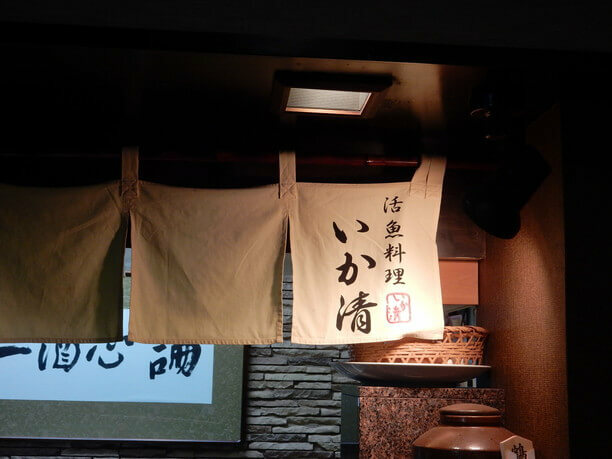 The specialty of the store, as you can see from the store name, is cooking with live fish. 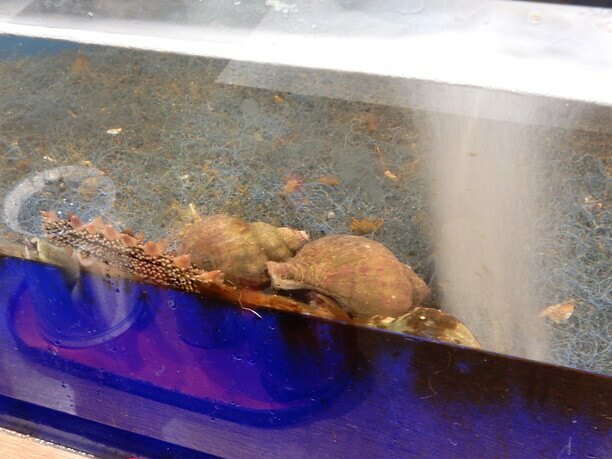 Inside the store, there are four big tanks, one for abalone, scallops, hairy crab etc.! After fish dishes are ordered, they choose the fish from the tank. There is no mistake, this is fresh fish! You will enjoy the taste, because when it is this fresh it creates a better sense of texture, and refreshing sweetness. Fresh sashimi is their specialty! 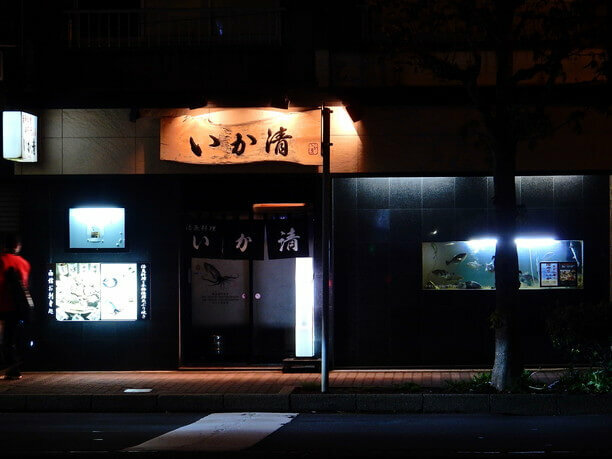 If you visit this shop, you will surely want to taste their lively sashimi. 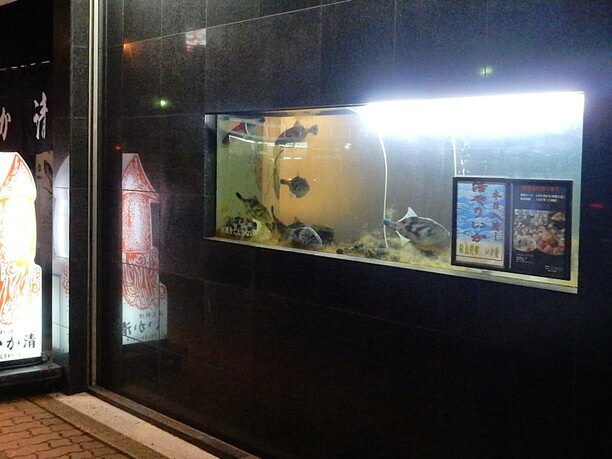 Your special dining experience starts as soon as they pull the fish from the tank! 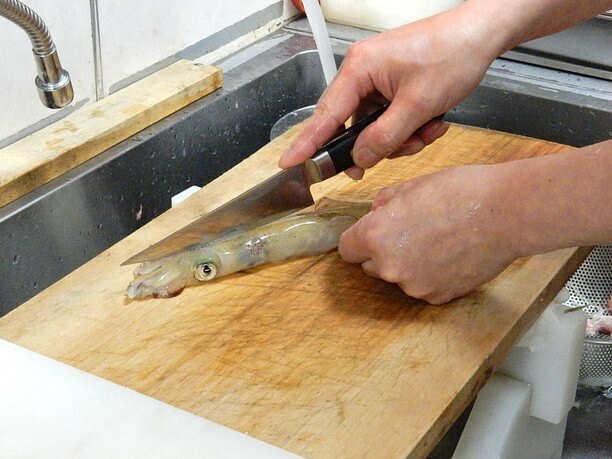 As soon as they take the fish or squid out of the tank it looks delicious as you see it. The craftsman quickly slices it with his the knife, and it is prepared right in front of the customer. It is still fresh enough to keep moving. They cut it in such a way that you can enjoy crunchy and cheeky cheeks. The part of the “Mimi” called the “Empera” tastes especially good! You can choose your fish to be served as sashimi, fried, or salted! 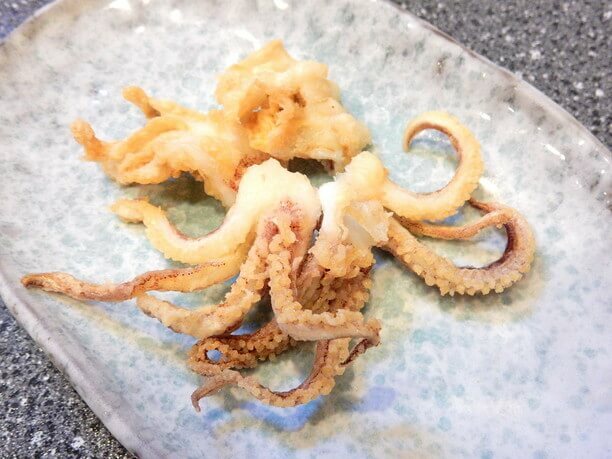 From January to May, you can taste the savory sweet taste of yari squid (1,500 yen ~ 2,000 yen). 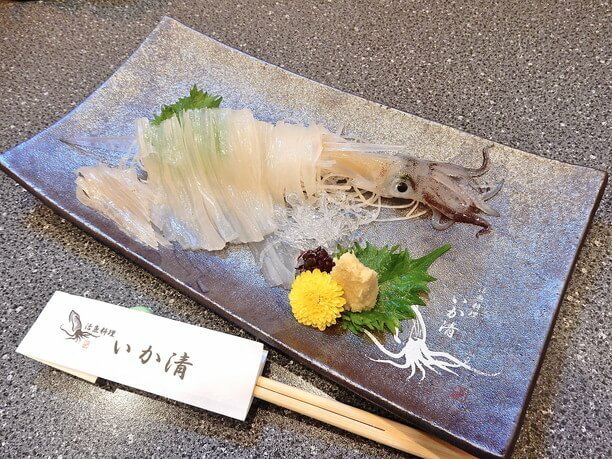 From June, the sashimi of thick and crispy ma squid is available (1,000 yen ~ 1,500 yen). Other than the squid, there is plenty of food on their seafood menu! The wide range of other menus items featured at the shop makes it difficult to choose. They offer sashimi with live fish, grilled dishes, fried foods, and sushi to bring out the taste of the ingredients to entertain visitors. 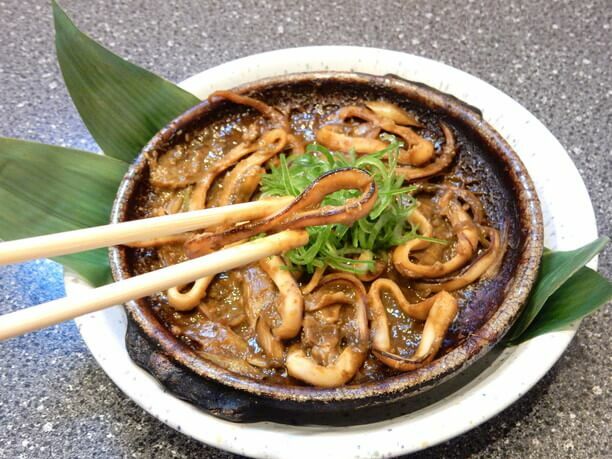 Especially, the menu using squid is particularly fulfilling. I would definitely recommend it. 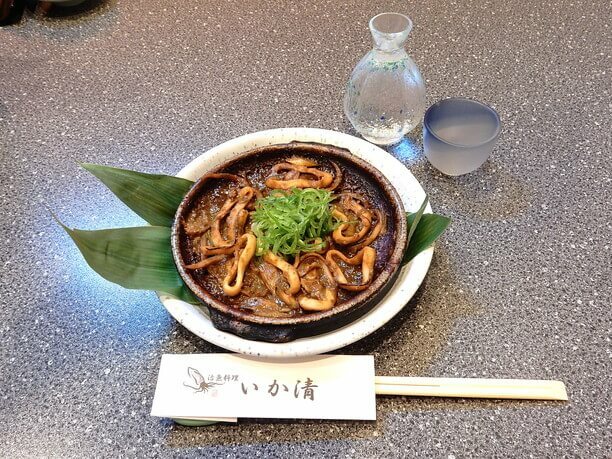 It is served on special pottery (580 yen). It is a dish that is served with a pottery plate, together with plenty of ginger, and the internal organs (goro) immersed in soy sauce, so you can enjoy the bitterness and richness of the goro. They also have a good selection of alcoholic beverages such as shochu, wine and fruit liquor, and local sake from Donan and Hokkaido. Enjoy alone, or with friends, or family! With countertop seating, tables and wide banquet rooms, it is a pub that is easy to use for any occasion. 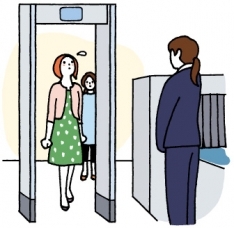 If you are traveling alone, there is a built-in counter. 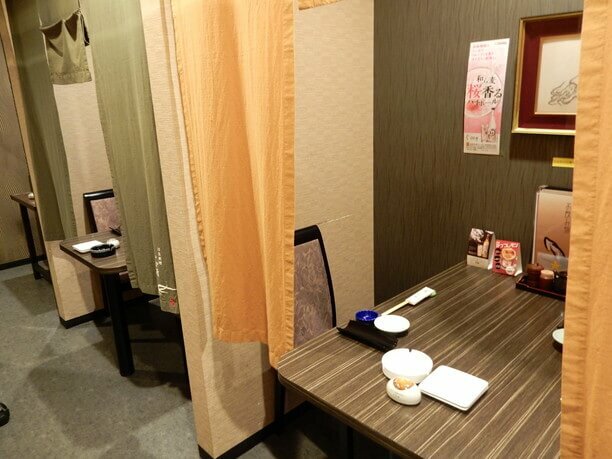 There is also a table seat in a private room that is easy to use for a couple or a small number of people. There is also a dugout private room where you can eat safely even with a small child. The second floor has a hall that can accommodate banquets and you can enjoy a meal slowly regardless of the style of your trip. At Ikasei, you can enjoy seasonal ingredients to your heart’s content! As fish of the day changes, so does the recommended ingredients. 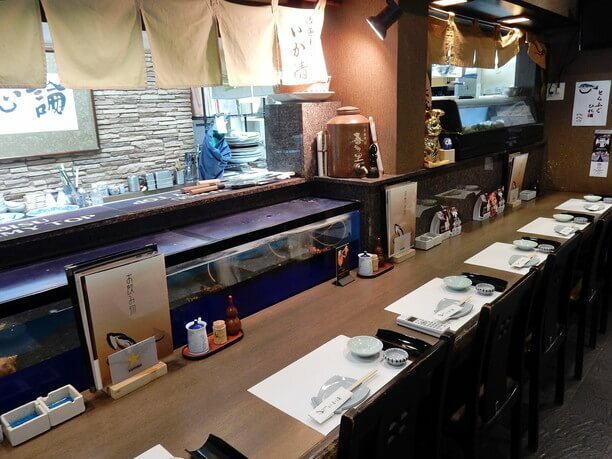 Whatever you order, you can definitely enjoy the delicious fish of Hakodate. The store is in front of the central electric hospital front and has excellent access. 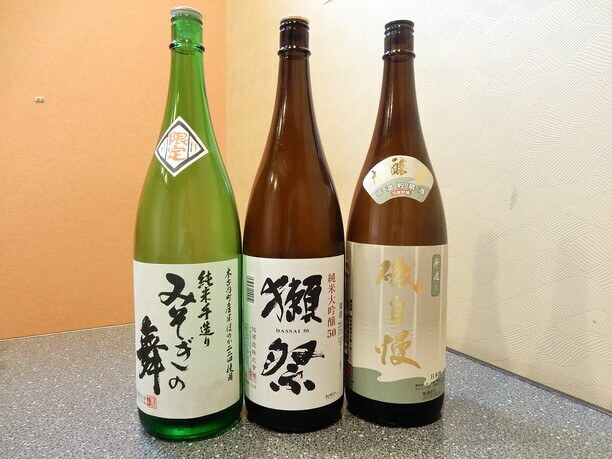 It is convenient for enjoying ladder sake because it is located in the downtown area around Goryokaku area. 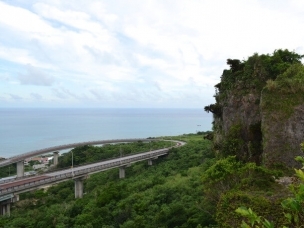 Since the menu is substantial, everyone can enjoy meals from small children to elderly people. There is a discount coupon on the homepage! 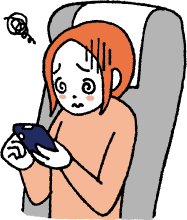 Since it is necessary to print out, it is advantageous to go to the shop after preparing it by checking the discount details in advance. 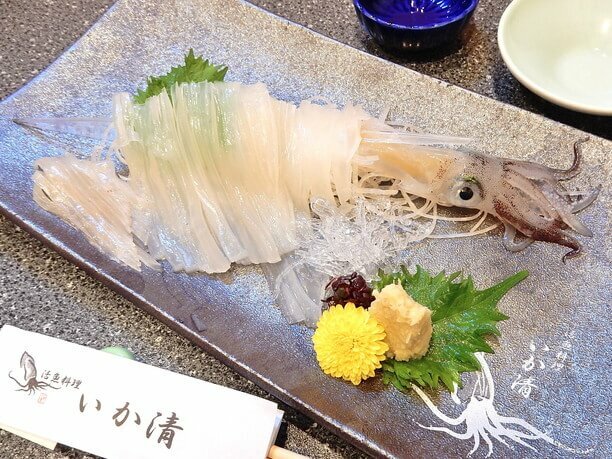 Ikasei offers many dishes using squid, and other local seafood. They also offer sweets on the menu. There are not many kinds, but what they have is delicious and worth giving a try!